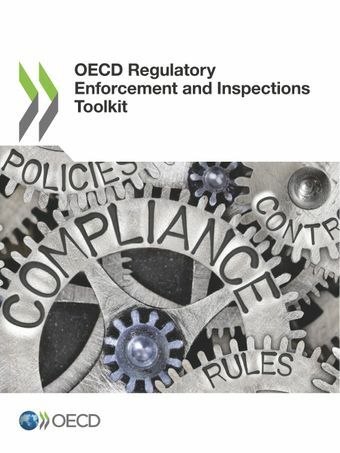 This publication presents a checklist of 12 criteria that correspond to the 11 OECD Best Practice Principles for Regulatory Enforcement and Inspections and a twelfth criterion for a “reality check” of actual performance. These criteria are divided into sub-criteria to make them easier to use. 1. Evidence-based enforcement: Regulatory enforcement and inspections should be evidence-based and measurement-based: deciding what to inspect and how should be grounded in data and evidence, and results should be evaluated regularly. 2. Selectivity: Promoting compliance and enforcing rules should be left to market forces, private sector actions and civil society activities wherever possible: inspections and enforcement cannot take place everywhere and address everything, and there are many other ways to achieve regulations’ objectives. 3. Risk focus and proportionality: Enforcement needs to be risk-based and proportionate: the frequency of inspections and the resources employed should be proportional to the level of risk, and enforcement actions should aim at reducing the actual risk posed by infractions. 4. Responsive regulation: Enforcement should be based on “responsive regulation” principles; that is, inspection enforcement actions should be modulated depending on the profile and behaviour of specific businesses. 5. Long-term vision: Governments should adopt policies on regulatory enforcement and inspections, and establish institutional mechanisms with clear objectives and a long-term strategy. 6. Co-ordination and consolidation: Inspection functions should be co-ordinated and, where needed, consolidated: less duplication and fewer overlaps will ensure a better use of public resources, minimise the burden on regulated subjects, and maximise effectiveness. 7. Transparent governance: Governance structures and human resources policies for regulatory enforcement should support transparency, professionalism, and results-oriented management. The execution of regulatory enforcement should be independent from political influence, and compliance promotion efforts should be rewarded. 8. Information integration: Information and communication technologies should be used to maximise a focus on risks, promote co-ordination and informationsharing and ensure an optimal use of resources. 9. Clear and fair process: Governments should ensure that rules and processes for enforcement and inspections are clear. Coherent legislation to organise inspections and enforcement needs to be adopted and published, and the rights and obligations of officials and of businesses, clearly articulated. 10. Compliance promotion: Transparency and compliance should be promoted through the use of appropriate instruments such as guidance, toolkits and checklists. 11. Professionalism: Inspectors should be trained and managed to ensure professionalism, integrity, consistency and transparency. This requires substantial training focusing not only on technical but also on generic inspection skills, and official guidelines for inspectors to help ensure consistency and fairness. 12. Reality check: Institutions in charge of inspection and enforcement, and the regulatory enforcement and inspection system as a whole, should deliver the levels of performance expected from them – in terms of stakeholder satisfaction, efficiency (benefits/costs), and overall effectiveness (safety, health, environmental protection etc.). The Toolkit is designed to evaluate the de facto situation of a given country or institution. To this end, and to make the most effective use of the Toolkit, reviewed countries and institutions should provide concrete evidence for meeting each of the sub-criteria, such as official documents, description of institutional mechanisms in place or concrete data on inspections and their results.